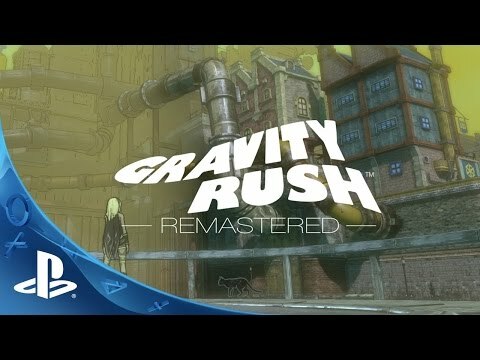 Use incredible gravity-altering powers to protect the future, while battling amnesia and trying to uncover the secrets of your past, in the PlayStation 4 re-release of this hit PlayStation Vita classic. Control gravity with the touch of a button and deliver devastating attacks in this mind-bending action-adventure game. Do you have the courage to battle the mysterious and dangerous Nevi, recover Hekseville’s lost districts and uncover the secrets of Kat’s forgotten past? Dive into a world of beautifully enhanced graphics to explore the unique 3D world, stunningly revamped from the award-winning PS Vita original. Manipulate gravity with the DUALSHOCK 4 wireless controller, using its built-in motion sensors to give you a new level of control. Enjoy extra missions, challenges and costumes with the Maid Pack, Spy Pack and Military Pack, all included in the game. Enjoy Gravity Rush Remastered’s unique comic book art style with over 600 illustrations available to view in the new gallery mode. "PS4" is a registered trademark of Sony Computer Entertainment Inc.
"Gravity Rush" is a trademark of Sony Computer Entertainment America LLC. © 2011 Sony Computer Entertainment Inc.